Why does God allow so much suffering? How could a loving God send people to Hell? Why isn’t Christianity more inclusive? How can one religion be “right” and the others “wrong”? Why have so many wars been fought in the name of God? These are just a few of the questions and doubts even ardent believers wrestle with. This series will address some of the most-frequently voiced doubts and give some of the most compelling reasons for faith. Session 1: Hasn’t Science Disproved The Bible? 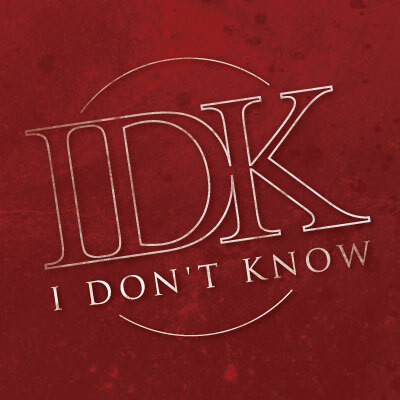 Big Idea: It’s ok to have doubts and to say “I don’t know” as a believer. You don’t have to check your brain at the door: miracles are not impossible and we don’t have to ignore science when reading any part of the Bible. Science is not all fact, it is part belief. Session 2: How Can a Loving God Send Someone to Hell? Big Idea: God’s judgment is not antithetical to God’s love when we understand the nature of sin and hell in the Bible. Session 3: How Can a Loving God Allow So Much Suffering? Big Idea: God is a God of love who redeems all suffering for any and all who want Him to. God enters into our suffering and redeems it through His own suffering. Session 4: How Can Jesus Be the Only Way? Big Idea: Jesus is the only way because all other ways are a rejection of who God is in favor of some other God, some other way. 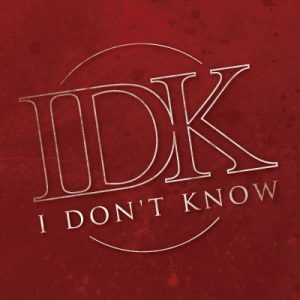 Be the first to review “IDK (I Don’t Know) – Messages in a Bundle” Click here to cancel reply.